Holy Michael, Archangel, defend us in the day of battle. Be our safeguard against the wickedness and snares of the Devil. May God rebuke him, we humbly pray, and do thou, prince of the heavenly host, by the power of God thrust down to Hell, Satan and all wicked spirits who wander through the world for the ruin of souls. Amen. Fr Bede Rowe was ordained to the priesthood in 2004. He was a Deacon in the parish of St Nicholas of Tolentino in Bristol, then assistant Priest in St Gregory the Great in Cheltenham. After that he served as Parish Priest of St George’s, Warminster for five years. After a spell teaching in France, he became private Chaplain to a family in Northumberland and studied for a PhD at Durham University. 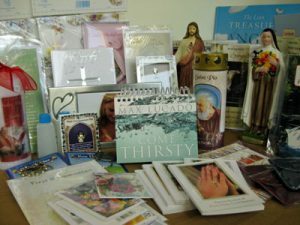 St. Michael’s offers a range of religious gifts and cards in their repository called Pathway. 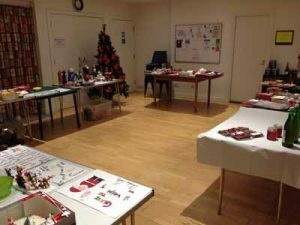 The cards are on display at the back of the Church and the gifts are displayed from time to time after Sunday Mass. They are always available to view on request. There is also a well stocked collection of Catholic Truth Society booklets for sale on the back wall of the church. Details of imminent forthcoming fundraising events will be listed on this page and are also available on the Events Calendar. Events are also made known in the weekly Bulletin published on this website. 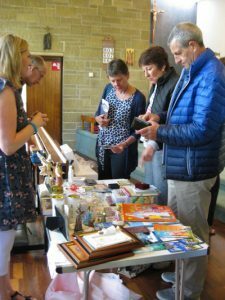 As with any charity, regular fundraising forms an important part of parish life, not just for financial reasons, but also for its valuable social benefits. St Michael’s aims to organise several during the year, covering as wide an interest as possible – something for everyone! St Michael’s offers all parishioners the opportunity to join its ‘100 Club’ For just £1 a month members are entered in to a monthly draw with multiple prizes. Our biggest fundraising opportunity of the year takes place each June when Shepton Mallet’s Collett Park stages its Annual Festival. The park, right next door to the church, welcomes over 3000 visitors to enjoy the entertainment and browse the many charity stalls. St Michael’s has stalls offering a wide variety of goods, and a popular tombola. During August there is a weekly cake and produce stall after Mass on each of the four Sundays. Parishioners generously donate home baking and garden fruit and vegetables, with a sell-out each week! Our next fundraising event is to be a Spring Concert featuring our organist Tony Bevan and other musicians, coming together to form an orchestra. This will take place in the church on Saturday May 4th, starting at 7.30pm. Entry is by ticket only, price £7.50, which will include a glass of wine or beer and a plate of hot food in the interval. Please email the parish with any ticket enquiries. This parish is one of the oldest in the diocese. Shepton Mallet had an organised community at the end of the eighteenth century. In 1765 Fr John Brewer, a Jesuit, who served until his death in 1797, started a mission which included Wells and Ston Easton.The original chapel at Shepton Mallet was a room in the house of the Hippisley family in Market Place. (Before the arrival of Fr Brewer the Hippisleys had walked either to Bristol or to Bath; in due course, however, they were able to persuade Fr Alban Molyneux to come from Bonham every six weeks to officiate at Shepton). 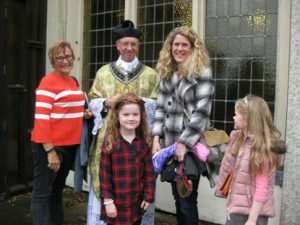 Fr Brewer lodged with this staunch Catholic family, paying them twenty pounds per annum. His successor was Fr James Hussey who used his private income to buy a plot of land, part of Summerleaze Park.The chapel opened for public worship on 29 April 1804 and could seat a congregation of 200. Fr Hussey died in 1810 and was succeeded by Dr.William Coombes, a man noted for his learning and courtesy, who served the mission for thirty-nine years. Born at Meadgate in the parish of Camerton in 1767 he had been expelled with others from the English College at Douai as a result of the French Revolution. Ironically the Revolution brought another benefit to the town.The Sisters of the Visitation, founded at Annecy in 1610, had also been driven from France and two of them eventually found their way to Draycott where in 1810 they opened a convent which they called ‘Sales House’ after their founder, the Bishop of Geneva, St Francis de Sales (1567–1622). The buildings, which included a mansion, dye houses and mill, had been purchased for the sisters at a cost of ten thousand pounds by Mrs.Tunstall of Wycliffe, Yorkshire. The community opened a ‘free school’ which served both Catholic and Protestant children in the town. Because of repeated flooding from the river Sheppey in 1831 they left and established a new foundation at Westury-on-Trym. In 1851 the Jesuits handed over the mission to the newly formed Diocese of Clifton. Twenty years later, in 1875, Wells became a separate mission. In 1908 Mother Patricia and seven Sisters of the Saviour and the Blessed Virgin arrived and set up a convent in Paul Street, opening a boarding and day school for girls.The school was successful and in 1934 a new building was opened to accommodate the expanding numbers. Fr Hussey’s church – originally dedicated to St Nicholas – served the Catholics of Shepton Mallet until 1965. Since 1862 the church had been dedicated to St Michael. 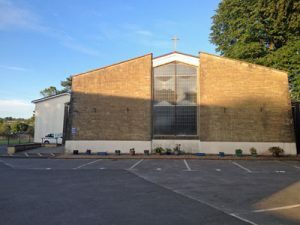 The present church of St Michael, dedicated in 1965, was built on a site which formed the corner of Langhorne Park (latterly the Convent) and was given by the Order. Their generosity was matched by an anonymous gesture of £30,000, half of which was a gift and half an interest free loan. The chapel of St Nicholas is still preserved as a Grade 2 listed building. After a short spell as a temporary furniture store it is now the factory site of ICI Polymers Ltd. The high pointed windows on the west side are a remainder of its 163 years service as a Catholic chapel. PRIEST: As Christ was greeted with loud hosannas, so may we greet Him with our prayers and petitions. READER: We pray for the Church. May she greet all people with love and affection, and never turn anyone from her doors. READER: We pray for our country, for our Queen and her Government. May all leaders of civic society protect and the weak and uphold the rights of those who are most troubled. READER: We pray for our Christian brothers and sisters in the Holy Land. May they keep alive the faith of Christ by the witness of their lives. READER: We pray for all those throughout the world preparing for the sacraments at this time. We pray for our children preparing for their first confession and Holy Communion; for Melissa, Mateusz, and Lukasz, and all who will be confirmed this Eastertide. READER: We join the whole diocese as we pray for the Priest and people of the parish of St Catherine in Frome, with St Dominic in Mells. READER: We pray for all those who are sick, at home or in hospital, especially those who are known to us. We commend to Almighty God the souls of all who have died recently, all those whose anniversaries occur at this time, and all who will die this day an unprepared death. Let us pray for a moment in silence. St Michael’s boasts a light and attractive Parish Room behind the church. It measures 5.3 x 6.9 metres and its glass doors open on to the garden beyond. There is a small kitchenette with plenty of china, and an accessible toilet. The room is available for private events, meetings, small parties etc. To check availability, to view or to book please email us or telephone Jacky Tucker on 01749 830695. St Michael’s benefits from a surfaced car park which is marked out to accommodate 14 cars at the front of the church. 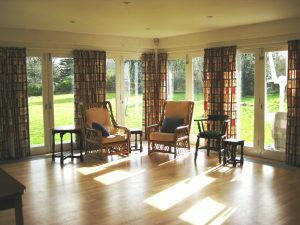 During the week (Monday to Saturday) these spaces are available for rent on an annual basis. Enquiries about rates are always welcome. Telephone Julia Yardley on 01749 831435. Currently (March 2019) there are several vacant spaces. However, parishioners are requested to refrain from parking in the numbered spaces during the week to avoid embarrassment. This even applies when there is a weekday Mass. Safeguarding documents can be accessed on the Clifton Diocese website. Our Safeguarding Officer is Peter Yardley.